The American College of Obstetricians and Gynecologists (ACOG) acknowledged that in addition to socioeconomic factors there are factors at the patient, practitioner and healthcare system level that contribute to the existing disparities. Recently the following recommendations were issued to help address the racial and ethnic disparities in women's healthcare. Support and assist recruitment of more OBGYNs and other health care providers from racial and ethnic minorities into academic and community health care. YES. This is a step in the right direction. 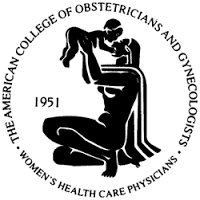 Kudos to the American College of Obstetricians and Gynecologists.! ACOG. Committee Opinion. Racial and Ethnic Disparities in Obstetrics and Gynecology. Number 649. December 2015.